Combining environmental awareness with business acumen creates a growing demand for wood construction. 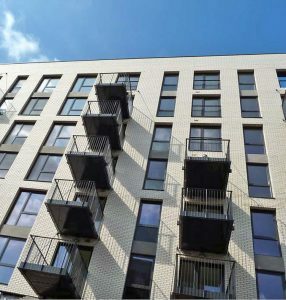 The sector has become more competitive through Cross Laminated Timber (CLT) wood panel production, enabling a cost-efficient assembly of multi-storey timber buildings. The ecological arguments for wood as a construction material are undeniable: it significantly reduces the CO2 emissions of the construction industry. Growing wood binds carbon dioxide from the air, turning timber buildings into long-term carbon stores. Timber is the only renewable building material suitable for load-bearing structures in large buildings. In addition to the positive environmental impact, competitiveness is required to guarantee the growth. In wood construction this has been improved through the use of CLT. 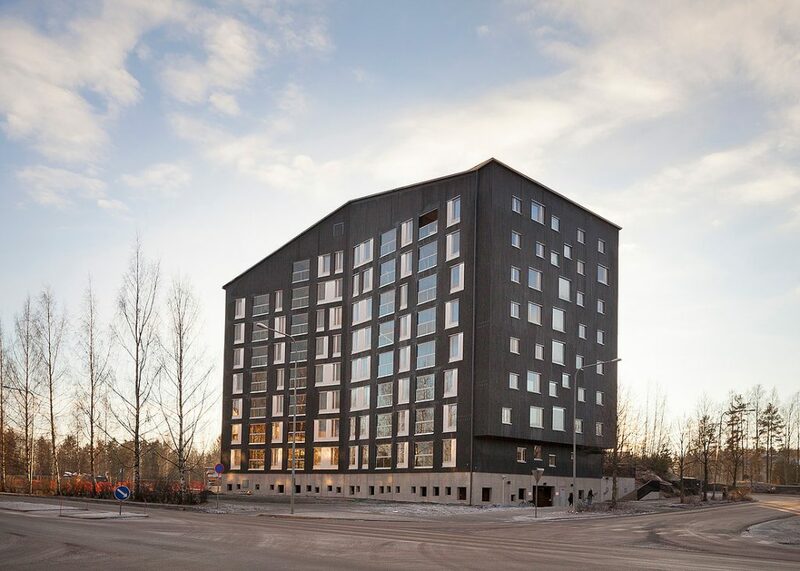 The Finnish-Swedish forest industry company Stora Enso manufactures CLT wood panels for fast and easy construction of multi-storey timber buildings. The wood panel is a massive wood construction product, consisting of bonded single-layer panels arranged at right angles to one another. Stora Enso manufactures CLT in Austria and further processes it as construction modules in Finland. 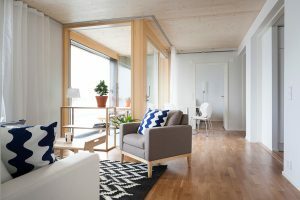 A separate CLT structure library has been introduced in Vertex, and it is now being sold also to other design companies interested in cross-laminated timber construction. The wood panels enable a cost-efficient construction of modules, i.e. 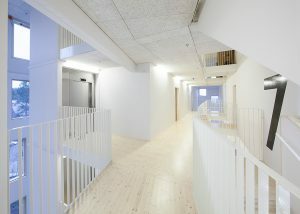 parts of an apartment prefabricated in factory premises, and consisting of several rooms. This has made speed one of the assets in wood construction. ‘With the CLT wood modules, a two-storey building of eight flats can be completed in just four weeks. 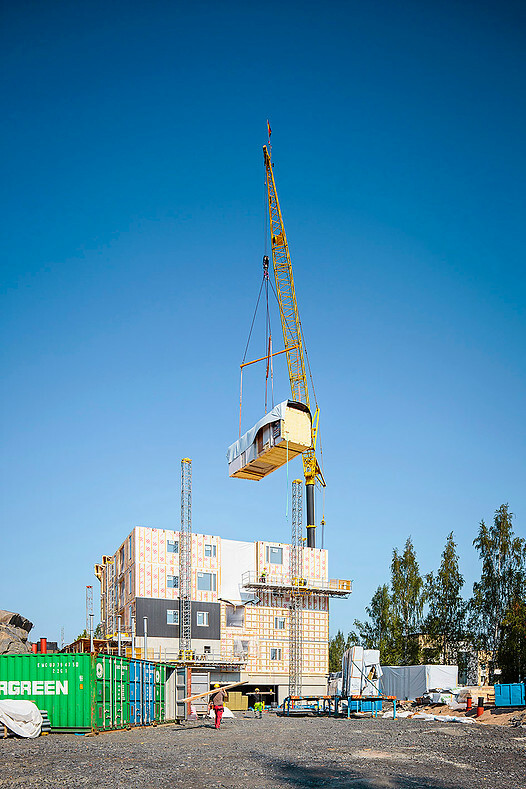 Completing an eight-storey residential timber building with the modules takes only about six months, an equivalent concrete building more than a year,’ says Janne Manninen, Sales Director at Stora Enso Building Solutions. 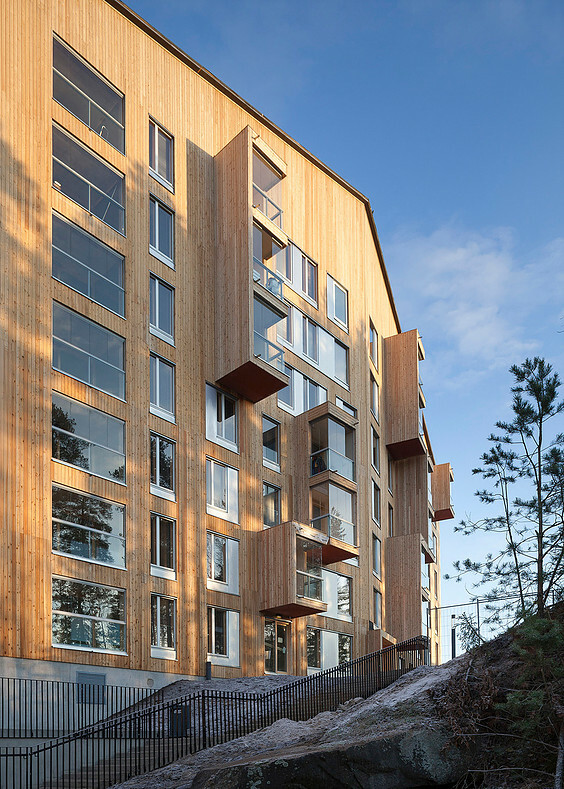 Due to the availability of wood raw material and the strong position of the forest industry, the number of multi-storey residential timber buildings in Finland is growing rapidly. Last year, around 500 multi-storey residential timber buildings were constructed in the country, and the figure is expected to double in 2015. The growth prospects are encouraging also elsewhere in Europe, where forested areas are increasing in size. Currently wood accounts for only less than a tenth of all construction in Europe. Wood construction has markets especially in the Western Europe, where erected, prefabricated products are widely in use.